Ultimate Sports Insider: Daily Fantasy Sports and Intercollegiate Athletics - Part 4 - What does the future hold? Daily Fantasy Sports and Intercollegiate Athletics - Part 4 - What does the future hold? The explosion of Daily Fantasy Sports (DFS), fueled by industry leaders DraftKings and FanDuel, has become a hot topic within intercollegiate athletic circles prompting significant questions and areas of debate. The first three parts of this series examined whether or not DFS is gambling, whether daily fantasy sports erodes the integrity of college sports, and whether DFS is a solution to athletic budget concerns and a way to enhance student interest in college athletics. The three prior articles lead to my predictions about the future relationship between Daily Fantasy Sports and intercollegiate athletics. - Insider trading activities will have the media and congress and the FBI pursuing DFS like a junk yard dog. - Daily Fantasy Sports will become heavily scrutinized in the short term and regulated in the long term, and the activity will cease to be "self-regulated." - DFS will continue to be legal because too many powerful and moneyed interests (NFL, NHL, NBA ESPN, etc.) will lobby to keep the enterprise legal. - The economic incentive to retain the jobs created by DFS and potential tax revenue will outweigh concerns over appearances of legalized gambling. - The number of Daily Fantasy Sports participants will grow, despite substantial evidence that the vast majority of participants lose and have the deck stacked against them by very sophisticated computer based algorithms. - The NCAA will retain its prohibition against participating in the activity for money, regardless of how regulated or legally permissible the activity is. 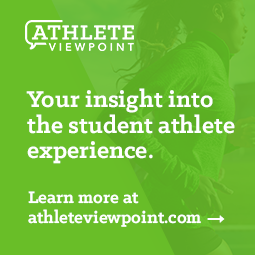 - Student athletes will forfeit eligibility for participating in DFS. - Student and adult sport fans will increasingly gravitate towards participatory activities - the rise of video gaming and ability to sell out video gaming championships is a prime example. Ultimately, I anticipate that Daily Fantasy Sports will remain a significant presence in the consciousness of sports fans, and as a result college athletics will perform a balancing act that allows grudging acceptance of Daily Fantasy Sports at a level below what is seen in professional sports. There is ample precedent in college athletics and higher education where opportunities that are morally or legally dubious have been adopted to respond to pressures facing those in leadership positions. The most obvious example involves alcohol. Despite well known concerns about binge drinking and underage alcohol consumption, alcohol is nearly ubiquitous around sports in two primary ways - television and radio advertising (which gives arms length separation from campuses) and through direct sponsorship accepted under the guise of responsible alcohol use and supporting drinking age laws. In addition, the acceptability of alcohol at college sporting events is growing. More and more schools are selling alcohol in venue. This shift is brought about by revenue needs, the desire for enhanced game attendance and by thoughtful recognition that in venue alcohol availability may discourage binge drinking prior to games. Similarly, as societal attitudes regarding drug use have changed - particularly the legalization of marijuana - college athletics has adapted. NCAA penalties regarding a positive test for the use marijuana have been cut in half and the NCAA Competitive Safeguards and Medical Aspects of Sport Committee is considering further adjustments to completely remove both marijuana and heroin from the NCAA "banned" drug list. On the gambling front, the Mountain West Conference has proposed legislation to eliminate the ban on hosting NCAA championships in states where sports wagering is legal. A college athletic department is typically a microcosm of its supporting University. If you want to find a well run athletic program, its hard to do so in a poorly run university. If a campus is suffering with inadequate budgets, the athletic program likely is too. If a campus has lax standards regarding plagiarism, the athletic department will as well. As a microcosm of their sponsoring university, how an athletic program will handle DFS will rest on three issues - attitudes towards gambling, the brand of the institution and budgetary pressures. Already on many campuses, simulated or low level gambling is accepted with much of the country living in close proximity to a casino. Google the words "casino night university" and note the lengthy list of schools that utilize real or simulated gambling opportunities as fund raising, student affairs and orientation activities. One could argue that DFS is among the least troublesome and lowest level forms of legal gambling and the addition of regulation could make the acceptance of this activity more palatable. For some institutions, their brand (such as religious affiliation) will make accepting this revenue directly highly unlikely, but these institutions are in the minority. But what trumps these other two factors is that nearly every institution has revenue needs, so the motivation to accept DFS exists. Based on this analysis, I believe acceptance of Daily Fantasy Sports will slowly grow. The NCAA prohibition of gambling is essentially the only barrier to widespread acceptance of DFS in intercollegiate sports. And as demonstrated above regarding alcohol and drugs, standards around these types of issues are not fixed in perpetuity but rather open to NCAA legislative action and interpretation that can adjust to reflect societal changes. Barring a change in the law, legalized gambling has arrived and is here to stay - a daily fantasy come true for many people.